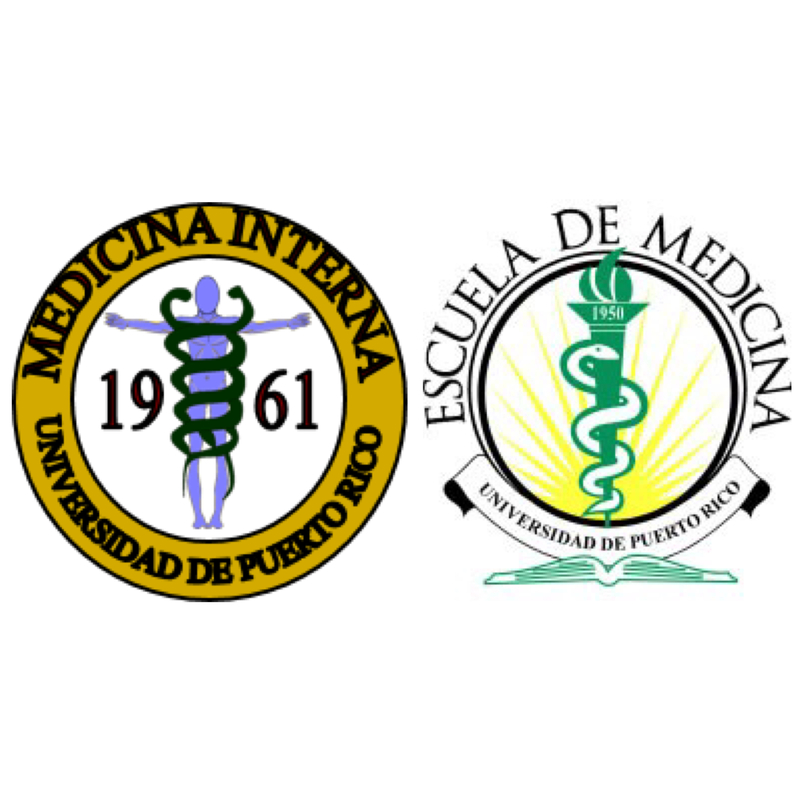 The Rheumatology Training Program at the University of Puerto Rico (UPR) is devoted to the diagnosis and treatment of rheumatic and musculoskeletal diseases. A fundamental part of the section is the Rheumatology Training Program for Adults. This program is accredited by the American Council for Graduate Medical Education (ACGME). The training consists of two years in which residents acquire knowledge, experience, and skills needed to excel in medical academia, scientific research or in private practice. Since 2008 two residents are selected each year. The hospital clinical experience takes place at the University Hospital for Adults, at the Cardiovascular Center of Puerto Rico and the Caribbean, in the outpatient clinic of the School of Medicine, Hospital outpatient clinic UPR Carolina and in private offices or Rheumatology. In harmony with the mission, vision and goals of the Medical Sciences Campus, our program has a strong, broad and balanced curriculum that is on par with the best programs of Rheumatology. Description: The PGY-3 residents have a 4-week rotation in Rheumatology at the University Hospital. The resident is part of the Rheumatology Team consisting of Rheumatology fellows and staff. The Rheumatology Service sees patients in the Rheumatology Ward and from all hospital services, including Medicine and their subspecialty services, Surgery, Orthopedics, OB- GYN, Emergency Room, and PM&R, when consulted. The resident will also have ample ambulatory clinics experience. In addition, the resident will be actively involved in all the academic activities of the section. Attend the Grand Rounds and all academic activities of the Rheumatology Section. Evaluation of Rheumatology patients in the in-patient service and consult under the supervision of the Rheumatology fellows and staff. Attend to all teaching and working rounds. Pass the Musculoskeletal Practical Exam and the Rheumatology Written Examination.